Could Richard Strauss have ever imagined the fame and popularity of the Sunrise from Also Sprach Zarathustra more than 100 years after it was composed? Stanley Kubrick’s 1968 film ‘2001: A Space Odyssey’ used the opening of Strauss’s tone poem to such great effect, that it is one of the most-well known classical works today. 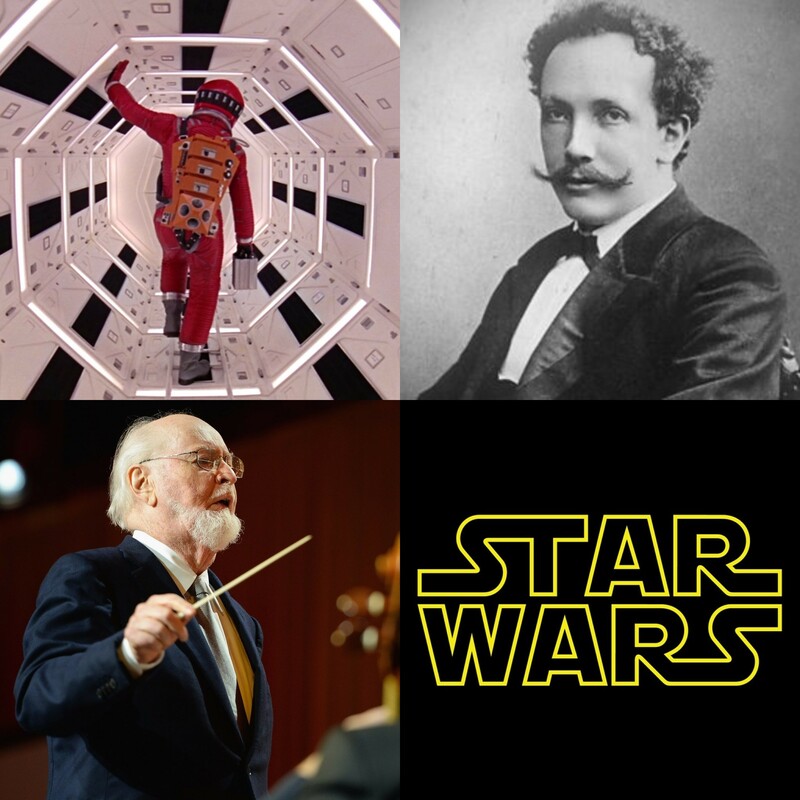 It seems fitting to complete our countdown with music composed by John Williams, one of the most popular and recognisable of all film composers today. His music to the ‘Star Wars’ saga (1977 to the present day) is rightly iconic; we start our concerts with the Main Title, followed by the Asteroid Field (from ‘The Empire Strikes Back’), the quirky space-jazz of the Cantina Band and fans’ favourite Here They Come! from ‘A New Hope’, ‘The Last Jedi’ and ‘Solo’. We complete our countdown and our concerts with Adventures on Earth from ‘E.T. the Extra-Terrestrial’ which includes music from the bike chase, E.T.’s theme, E.T.’s farewell and the concluding fanfares that bring the film to a close.